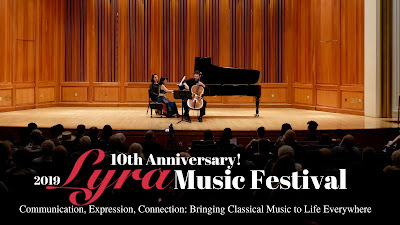 Lyra Music Festival 2019 | Tenth Anniversary Festival! 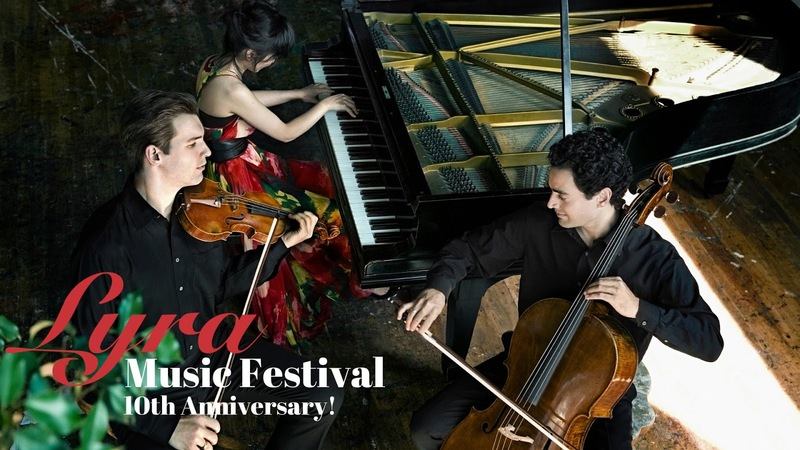 The Lyra Music Festival is an outstanding series of summer classical music events bringing together world class musicians, outstanding young string players and pianists and an exceptional faculty of professional musicians and educators for concerts, masterclasses and outreach performances. Join us in July to celebrate our Tenth Anniversary with more Amazing Music than ever! 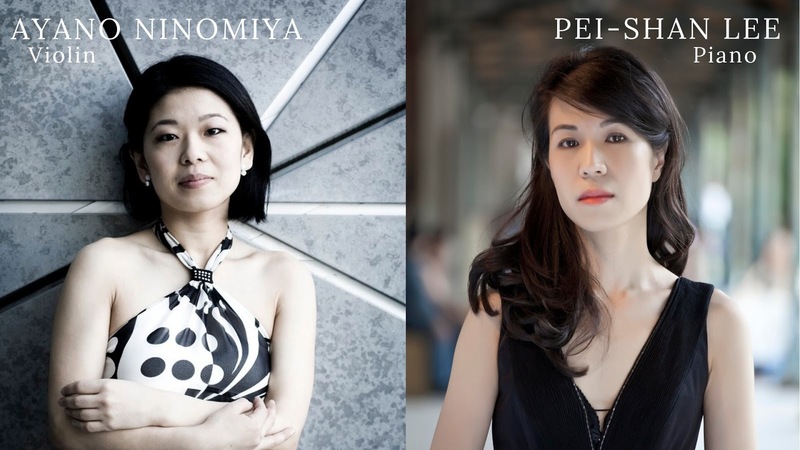 Hailed by The New York Times as “impressive, lithe, persuasive,” when the members of the Horszowski Trio (Hor-SHOV- ski) – Jesse Mills, Raman Ramakrishnan, and Rieko Aizawa – played together for the first time, they immediately felt the spark of a unique connection. Many years of close friendship had created a deep trust between the players, which in turn led to exhilarating expressive freedom. In the four-year period following their debut performance at Rockefeller University in NYC in December 2011, they were booked for almost 200 concerts in the U.S. and tours of Japan and India. They have continued their successful rise in the chamber music world, earning the praise of critics and audiences alike. The New Yorker has called them "the most compelling American group to come on the scene." The trio will return to Asia for another tour in the Fall of 2018, and they will make their European debut in 2019, including a performance at London's Wigmore Hall. 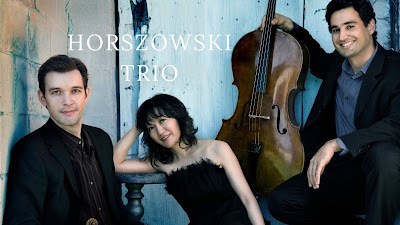 Based in New York City, the Horszowski Trio is Ensemble-in-Residence at the Longy School of Music of Bard College. Praised by The New York Times as "deeply communicative and engrossing," violinist Ayano Ninomiya is committed to creating invigorating live performance experiences from concert stages to private homes and public schools. The Boston Globe wrote that, "A note from her was never just a note...Whatever project she takes on next, it is sure to be worth a listen." She has won numerous awards, including the Naumburg International Violin Competition, the Tibor Varga International Competition, Astral Artists National Auditions, and the Young Performer’s Career Advancement Award (APAP). As a recording artist, Ayano has released a variety of albums including a solo album of works for violin by Larry Bell and more recently, three albums as the first violinist of the Ying Quartet. 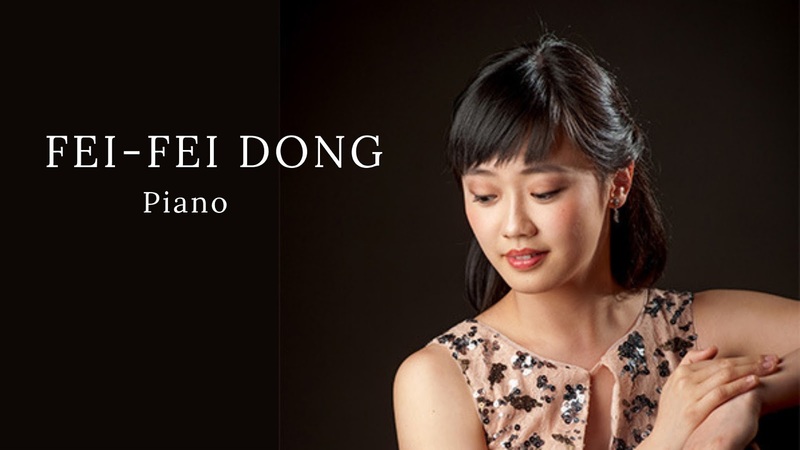 Praised for her “bountiful gifts and passionate immersion into the music she touches” (The Plain Dealer), pianist Fei-Fei is a winner of the Concert Artists Guild Competition and a top finalist at the 14th Van Cliburn International Piano Competition. She continues to build a reputation for her poetic interpretations, charming audiences with her “passion, piquancy and tenderness” and “winning stage presence” (Dallas Morning News), both in the US and internationally, including her native China. Fei-Fei was showcased prominently as a Cliburn finalist in the documentary film, Virtuosity, about the 2013 Cliburn Competition, which premiered on PBS in August 2015, and she has also been featured numerous times on New York’s WQXR radio. New York born cellist Astrid Schween is an internationally recognized soloist, chamber artist, and teacher. In 2016, she joined the Juilliard String Quartet, succeeding her esteemed colleague Joel Krosnick, and became a member of the Juilliard Cello Faculty. In addition to her work with the JSQ, Ms. Schween remains active as a soloist, appearing this season in Boston, Oakland, Memphis, the International Cello Institute, the Seattle Chamber Music Festival, and with the Boulder Philharmonic, performing the Elgar concerto. 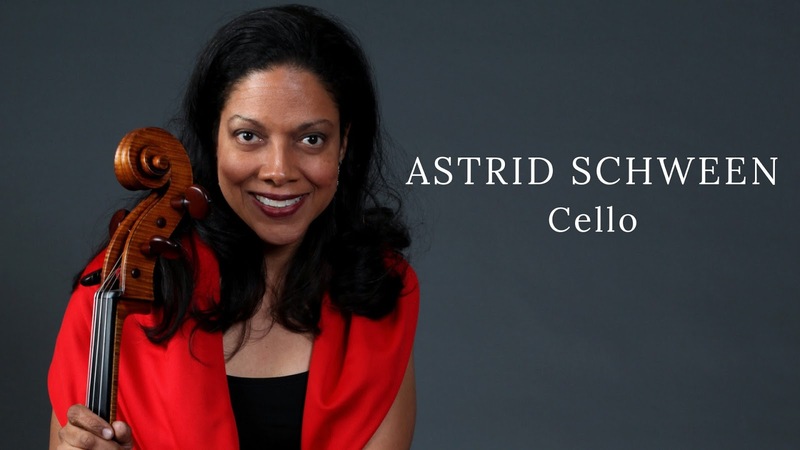 An active juror and panelist, she has been featured in Strings and Strad magazines, on “Living the Classical Life,” NPR, The Violin Channel, CelloBello, and as a guest speaker at the Library of Congress. Following her solo cello album, "Rhapsody," Ms. Schween's current recording project covers the major Romantic cello sonatas with pianist Michael Gurt. 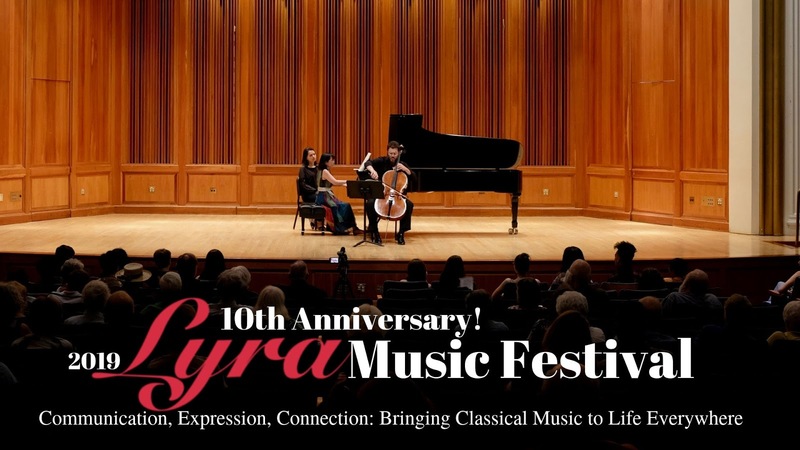 An exceptional program of solo and chamber repertoire performed by Lyra Music Workshop’s outstanding young musicians, this concert is the celebratory culmination of 3 weeks of intensive, conservatory-style, classical music training. Young musicians at their brightest – Come and Be Inspired!